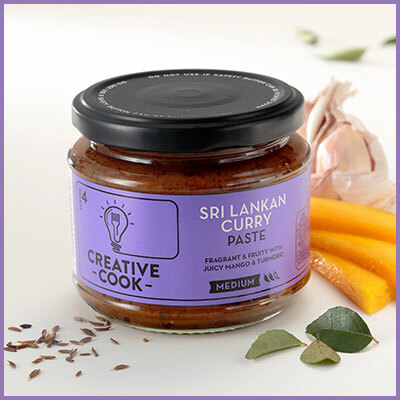 A great example of Sri Lanka’s rich, melting-pot cuisine, this curry brings together the best ingredients of this beautiful island has to offer. Transport your kitchen to exotic Sri Lanka. This mango and prawn curry is aromatic and creamy yet really packs a spicy flavour punch. Quick and easy to cook, it’s a perfect way to spice up your week.